Have you ever lent money to friends and never remembered who refunded you ? You never know if you have been refunded by your insurance for your heath care ? Refunds let you enter a new refund to track very quickly. The refunds are organized by category (health, purchase, person, expense report) in order to find them more easily. You can even scan the barcode on the return receipt in order to keep the tracking number at hand and take a picture of the deposit proof if you return a package. 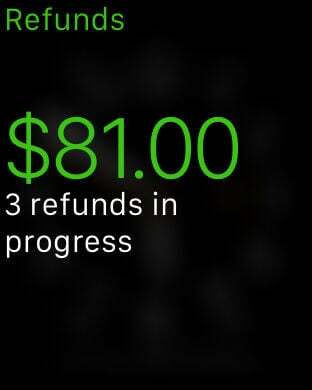 Refunds is available on all your iOS devices and can synchronize your refunds with iCloud. 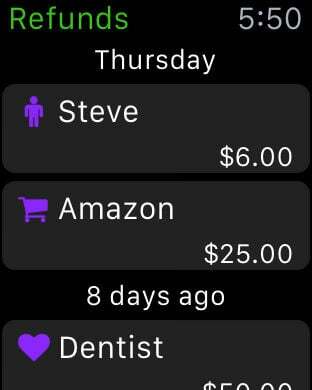 An Apple Watch app is also included to let you enter or validate a refund quickly without leaving your phone from your pocket (requires iOS 9 and watchOS 2).